Only 1 episode is out right now. I have seen the raw..
Kinda reminded me of Inuyasha (which I hate), in a modern time instead. I love it too. It's a great anime to watch. 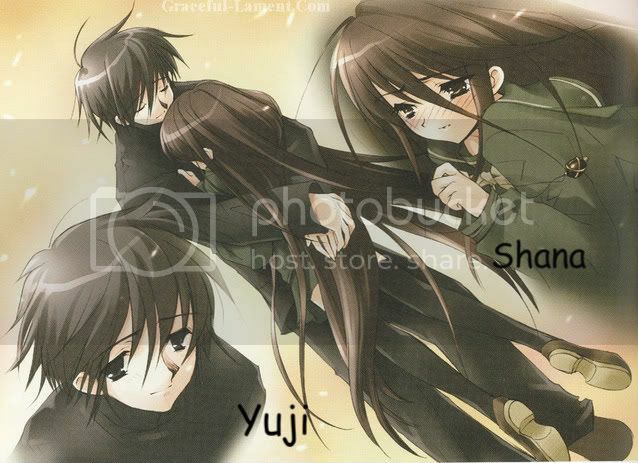 [b]merged: 08-21-2007 ~ 04:32pm [/b] It's so great until I got addicted to her and had collected everything related to Shakugan no SHANA, like: anime, manga, original novel, pictures, songs/OST (gadgets dont have, cause the local here didnt sell). I love it too. It's a great anime to watch. It's so great until I got addicted to her and had collected everything related to Shakugan no SHANA, like: anime, manga, original novel, pictures, songs/OST (gadgets dont have, cause the local here didnt sell). does anyone know where i can read the manga, or at least where i can order the manga.. Started watching it a few days ago, finished the first episode. Today, I am still on the first episode.